Dr. Rivlin’s groundbreaking work has transformed our understanding of how we see. Her research has led to a paradigm shift in our understanding of the retina, a part of the eye where all visual processes begin. Dr. Rivlin’s work has revealed that cells in the retina can dynamically change their response properties to stimuli such as motion and light. Her findings challenge the dogma that responses of retinal cells are fixed and hardwired. Her discoveries raise fundamental questions about how we see and have implications for our understanding of the mechanisms underlying computations in neuronal circuits, the treatment of retinal diseases and blindness, and the development of computer vision technologies. Dr. Bercovici is being recognized for his innovative research in microfluidics, contributing to fundamental understanding of the chemical and physical behavior of fluids at extremely small scales, as well as to the invention of cutting-edge technologies in this field. His highly multidisciplinary research which couples fluid mechanics, electric fields, heat transfer, chemical reactions, and biology has the potential to not only miniaturize existing large-scale processes but also to create new capabilities that are not possible at large scale. For example, Dr. Bercovici and his team at Technion have developed a series of Lab-on-a-Chip technologies which significantly shorten the time and improve the sensitivity of traditional molecular analysis techniques, enabling rapid and early disease diagnostics as well as offering new research tools to scientists. Innovations coming from his lab also have potential use in many other fields including soft actuators, adaptive optics, single cell analysis, and microscale 3D printing. Dr. Berg has conducted creative and influential theoretical studies to gain valuable insights into quantum materials — materials whose electronic properties cannot be understood with concepts from contemporary physics textbooks. Dr. Berg developed a landmark computational method to study an important phenomenon, called metallic quantum criticality, which is commonly seen in many quantum materials. Recently, he predicted a new method to reversibly switch superconducting devices between topological and non-topological states, which is very promising for storing and manipulating quantum information. 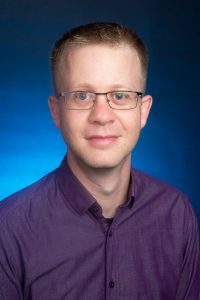 His research has provided important insights into the physics principles behind a wide variety of exotic phenomena in quantum materials, which will help to speed up the implementation of these materials in next-generation electronics, including quantum computing, magnetic resonance imaging (MRI), and superconducting power lines. The Blavatnik Family Foundation is an active supporter of leading educational, scientific, cultural, and charitable institutions in the United States, the United Kingdom, Israel, and throughout the world. The Foundation is headed by Len Blavatnik, an American industrialist and philanthropist. Mr. Blavatnik is the Founder and Chairman of Access Industries, a privately-held U.S. industrial group with global interests in natural resources and chemicals, media and telecommunications, venture capital, and real estate. Among other assets, Access Industries owns the Israeli Clal Industries group. For more detailed information, please visit www.accessindustries.com or www.blavatnikfoundation.org. It is tasked with promoting Israeli scientific excellence; advising the government on scientific matters of national interest; publishing scholarly research of lasting merit, and maintaining active contact with the broader international scientific and scholarly community. For more information about the Israel Academy of Sciences and Humanities, please visit www.academy.ac.il.